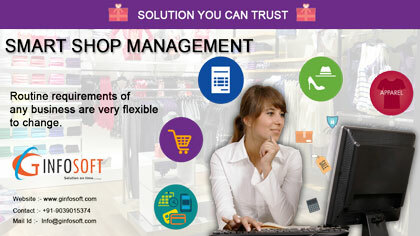 Smart Shop Management Software is especially designed for Apparels, Footwear, readymade garments retail showrooms to manage their stock Size / Color / Article wise. No need to purchase separate barcode printer to print tags.. Routine requirements of any business are very flexible to change. Financial Accounts with inventory, Barcode Based Billing, easy Banking. No need to Learn any accounts or computers. Capable to handle huge rush of customers rapidly. Design your Bill Format Yourself. Decide yourself who can View or edit or delete the entries. Reduce your recurring cost of per tag printing and save your barcode printer.